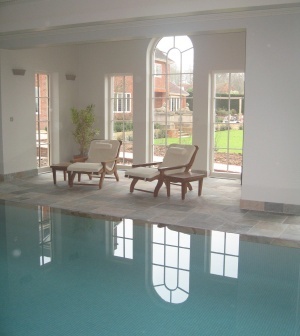 Over the years Clarity Window Cleaning has expanded considerably and continues to carry out a first class service to numerous well known commercial contracts and domestic properties throughout Bournemouth, Poole, Christchurch, Ringwood, Verwood, West Moors, Wimborne, Ferndown, Wareham, Blandford and surrounding rural areas. Our cleaning services also includes the cleaning of cladding, soffits, fascias, guttering and signs. We also have the equipment to vacuum gutter debris. Our fully trained, uniformed, knowledgeable and insured operatives offer a courteous and first class service to carry out all aspects of cleaning to a high standard. Quality - trained operatives using water purified on our own premises not a plug in system using your water supply. 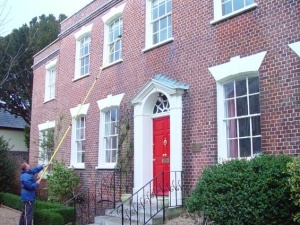 We are always looking at new advances in the window cleaning business to provide the best quality of service. 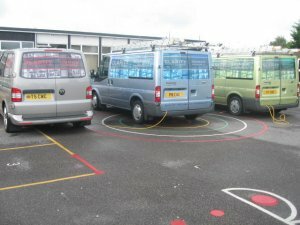 Reliability - For 25 years we have strived to maintain a regular service to the frequency requested by the customer. All our work is scheduled by computer software to optimise our efficiency, however the weather doesn't always help! Personality - Our operators are chosen with the customer in mind and we feel that they are friendly, approachable and willing to give the level of service that our customers require.